Sit back and relax as the soothing sound from the saxophone calms your mood and takes away all of the day's stress. Come to one of the jazz clubs in NY if you want to have a relaxing night with amazing music and the perfect drinks. You can't find a better atmosphere than you will at one of these clubs. Barbès is a jazz bar and performance place which is located in the South Slope part of Brooklyn, New York. 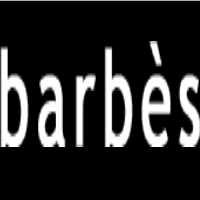 Barbes bar is owned and run by 2 French musicians who have been long time Brooklyn residents. Barbes is place which can be a home for cultural variety and neighborhood conviviality. They are offering an eclectic music collection which everyone will really enjoy. Barbes NY bar has one of the best selections of Single Malt Scotch in the city of New York, as well as the twelve beers on draft, top notch Tequilas, Slivovitz, Japanese Single Malt, Italian digestive, Pastis cocktails and an extensive choice of bottled beer. 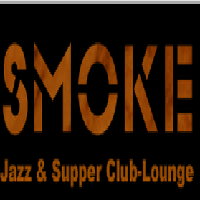 The Smoke Jazz Club was established in the year 1999. It was founded by partners Paul Stache and Frank Christopher who have been carrying on a 30 year tradition of jazz at the same location but with a different bar name which was formerly known as Augie’s Jazz Bar. When Augie’s closed in the year 1998, the partners pooled their resources and reopened the place and they named the new place Smoke Jazz Club since they could not keep the name of the previous bar. The rooms at the Smoke Jazz Club NY have a seating capacity of over 50. Although the place is small, it ensures listeners that they are close to the action while the performances are going on. Village Vanguard is a jazz bar which is located at 178 7th Avenue South in the Greenwich Village of New York City. The club was opened and established in the year 1935, by Max Gordon. 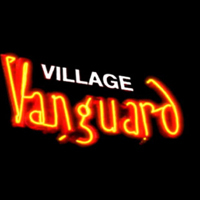 Village Vanguard is a small underground club which is nestled in the heart of Greenwich Village. The owner intended Village Vanguard to be a forum for poets and artists, as well as a site for musical performances. But this did not materialize because they failed to get police clearances. Then he moved his place and in 1957 he put up a bar that is strictly for jazz music only. Today, after 70 years in the market, they still showcase jazz music performances by different artists. The bar Village Vanguard has a lot of history and it makes people want to dine and experience the historical bar in Greenwich Village. Cleopatra's Needle is a jazz club which was named after the famed monument in New York's Central Park. It is a world renowned hotspot of New York which is known for offering customers great food, drinks and live jazz performances. The original cuisine of Cleopatra’s Needle NY was even featured on TV. 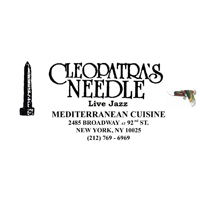 Cleopatra’s Needle is offering the best live jazz music of New York without a cover charge. They also have famous jazz jam sessions which have attracted a lot of up and coming performers from the jazz music world. The admission to the bar is free, with a minimum of $10 per person. The bar has a Happy Hour promo which is available every day, the prices of the house brand martinis and some other glasses of wine will have a reduced price. The Iridium was opened in January 1994. Back then they were still located at 63rd Street and 8th Avenue. At that time they were charging minimal cover for everyone to really enjoy the great music they are offering. Initially they were just located in the basement just below the Merlot restaurant. Back then they were just hiring traditional and swinging jazz musicians. Their original location was renovated 3 times and eventually they moved to 1650 Broadway on 51st Street last August 2001. 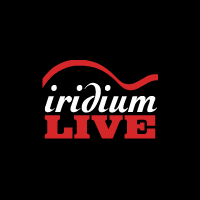 The Iridium NY aims to give the younger mainstream musicians a chance to perform at their place and at the same time they also want to keep booking the legends of the jazz music scene. For more information, visit their website now. 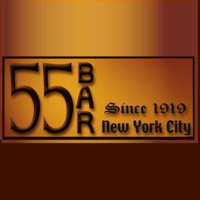 The 55 Bar is a dive bar located in the city of New York which showcases live jazz, funk and blues music every night. The 55 Bar is one of the best places in New York to see live music. The club is a sort of frat house for the jazz lovers. With the club being in the heart of the village, there are a lot of tourists coming by to hear music in the place. The 55 Bar also offers cheap beer for everyone to enjoy the place. The 55 Bar has weeknight shows from 7pm to 10pm. The bar has an early show every Friday and Saturday at 6pm. The late shows begin at 10pm. Arthur's Tavern, located in the West Village, is an institution which caters live jazz music. They are one of the last places in the city wherein you can find good live jazz music. Another thing good about this bar is that you can hear and enjoy sweet music without sustaining hearing damage and paying a cover charge. The interior décor of Arthur’s Tavern NY is befitting of an old jazz club which has been around since the early 40s. 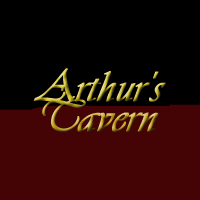 Join Arthur’s Tavern at their piano bar or just relax at the intimate tables. If you want to see the sets of live jazz, visit the place from 7p.m. - 10p.m. Tuesday through Saturday. The great Dixieland jazz group will play at 8 p.m. - 11 p.m. on Sundays and Mondays. They have the best blues and R n B from 9PM onwards until 3 in the morning. 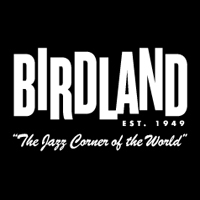 Birdland is a jazz club which started in the City of New York on December 15, 1949. Originally, the jazz bar was located at 1678 Broadway which is just north of West 52nd Street in Manhattan. However, it was closed in 1965 due to the increased rent. A revival began in the year 1986 with the opening of the second nightclub by the same name Birdland which is now located in Manhattan's Theater District that is not far from the original nightclub's location. There are a lot of jazz bands and performers playing at the place, the list can be found on their website. You can just visit their website or call them now to plan your visit. The Blue Note was established in the year 1981, since its inception the club has become one of the premier jazz bars in the world. It has also become the cultural institution in Greenwich Village. 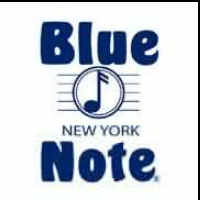 The owner and the founder of Blue Note NY, Danny Bensusan, had envisioned creating a jazz club in the Greenwich Village that would treat those deserving artists with respect and let them play at the bar while allowing the patrons to see the world's finest jazz musicians in a comfortable setting. There are a lot of artists who have been playing in jazz clubs decades before, they are namely Sarah Vaughn, Ray Brown, Tito Puente, Stanley Turrentine, Lionel Hampton, Dizzy Gillespie, and Oscar Peterson. They soon called Blue Note home. Fat Cat is a diverse cultural institution which features a lot of things such as art space, live music, games and innovative educational programming. The musical offerings will highlight emerging artists and legends of genres which range from jazz to Latin, classical and world music. 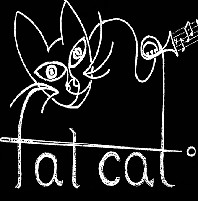 Fat Cat NY wants to sustain the traditional nightly jam sessions in New York, so that they will be able to maintain New York being the jazz capital. A lot of people know that Fat Cat is a popular nightlife destination. Fat Cat strives to be a diverse place, while the sun is still shining, Fat Cat is utilizing their place for the model class trip curriculum which encourages cross pollination of different creative disciplines.